What is oral cancer screening and why is it done? Oral cancer screening is an examination of the mouth to detect signs of cancer. 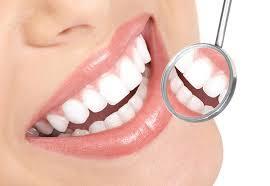 Our Providers at Snellville Family Dental, can perform the examination during a regular checkup. The aim of oral cancer screening is to identify oral cancer at an early stage so it can be treated. Dr. Nabi and Dr. Socoloff will carry out additional examinations to detect growth of abnormal cells in your mouth. Remember, cancer lesions are easy to remove during early stages, so it is really important to undergo oral cancer screening as early as possible. What factors can cause oral cancer? There are several factors that can lead to oral cancer, and an oral cancer screening is one of the most effective ways to identify abnormal cell growth in your mouth. If you are using tobacco in any form, including smoking, chewing and snuffing, you should consider going for examination of your mouth at least once every three months. Other causes of oral cancer include the heavy use of alcohol, previous detection of mouth cancer, and exposure of the lip to the sun. Moreover, if anyone in your family has suffered from oral cancer, you should get screened because heredity can also increase the risk of cancer. What are oral cancer signs? Oral cancer signs include soreness, irritation and growth of lump in the mouth or throat. Also, if you see red or white patches in your mouth, you should visit our staff right away. Other signs of oral cancer include trouble in chewing and eating food and coldness in the tongue and mouth. What are oral cancer screening limitations? Though oral cancer screenings are effective in identifying signs of mouth cancer at an early stage, yet there are some limitations to the examination. Oral cancer screening does not yield a particular diagnosis, just symptoms and signs. Additional examinations and tests will be necessary to make a definitive diagnosis. For example, oral cancer screening can find sores in your mouth, but it cannot differentiate between cancerous and non-cancerous sores. Oral cancer can occur in many forms, but oral cancer screening cannot detect them all. How is oral cancer screening performed and what to expect? You can have an oral cancer screening performed during your routine dental appointment with Dr. Nabi or Dr. Socoloff. The procedure is painless and can be performed within a few minutes. Not much preparation is required for the examination, but you will need to remove any dentures you may be wearing. Your Provider will examine your mouth, lips, face and neck to see if there is any sign of cancer. He will press around under your jaw and around your mouth to check for lumps. Your mouth would be thoroughly examined for signs of tenderness, change of color and texture and swellings. Using gauze to hold and move your tongue, your Provider will examine the base of your tongue and back of your throat for any signs of oral cancer. You can take some precautionary measures to help prevent oral cancer. Dr. Nabi and Dr. Socoloff encourage all of their patients to undergo dental and oral cancer examinations on a regular basis. If you are using tobacco and alcohol, you should stop them immediately. Additionally, you should avoid unnecessary exposure to the sun, and make sure to wear ultraviolet protective lip balms before going into the sun. Take good care of your health and eat healthy diet, especially fruits and vegetables. Dr. Nabi and Dr. Socoloff stress the importance of maintaining good oral hygiene if you want to prevent oral cancer. If you are looking for an oral cancer screening specialist in Snellville, GA, you’ve come to the right place. Our Providers bring decades of experience in oral cancer screening to our clinic. They have studied oral cancers for years, and has already performed oral cancer examinations on thousands of patients. They are very friendly in nature and would go way out to make sure that your screening takes place in a friendly environment, and without causing any discomfort to you. They will use the most modern techniques and tools to diagnose oral cancer.